Are you in love but don’t know how to express it? We’d like to help! 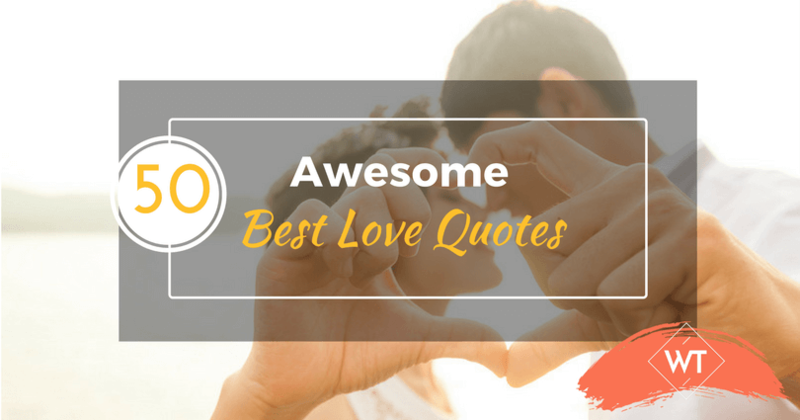 We have complied some of the most prolific and best love quotes around. It wasn’t easy, either. There have been a lot of words spoken by a lot of people on the subject of love. Hopefully, this list of the best love quotes will help you should you ever need a reminder of all that is beautiful on the subject of love. Screenwriter Block summed up what everyone hopes to feel: an all-encompassing love. A reason for living. A love that reminds you why you were born to feel it. Many of us have loved our pets as we have loved anyone else in our family. A nice reminder that unconditional love is expressed in many forms. Another reminder that alone time is important for love, from anyone. If one does not spend time alone and feel comfortable in doing so, dependency on another may form. Vivekananda reminds us with this eloquent quote that you know what will make you happy and whole better than anyone else. Listen to your soul—it knows. Dostoyevsky, acclaimed Russian author, certainly had a way with words. Most importantly however, he had a way with love. We have often wondered what heaven and hell are—no matter who we are; it is understandable that a lack of love is a good definition of what hell may be like. Schulz, creator of the Peanuts and beloved Charlie Brown and his crew, is known for representing love, happiness, and childhood. He says it well when he reminds us that anything you love should be accredited for your happiness. Gibran wrote The Prophet, an important book that has lasted for ages and has been translated into many different languages. Gibran’s words ring true across the globe—love shall lead the way. 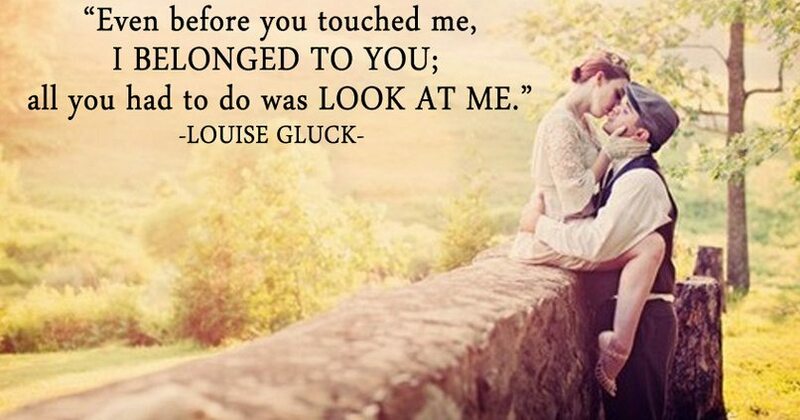 Gluck perfectly encapsulates the feeling that many of us have experience in our lives. Love at first sight—before a touch, a kiss, a relationship—is something very relatable. No list of the best “any” kind of quotes would be complete without J.D. Salinger, and the “best love quotes” list is no exception. Salinger has long been noted as one of the most intense writers in the world. From Catcher in the Rye, this quote reminds us that the protagonist (Holden Caulfield) represents many, many teenage boys and their feelings toward women. Love-struck, in a sense. People often follow either their head or their heart, though it is possible to balance both. In a relationship, in fact, it is necessary. Your heart and your head can work together—just remember to rely on both of them. Though known as one of the funniest men in comedy history, Williams was also very poignant. This quote is a nice reminder that choosing the people you surround yourself with is as important as assuring you have friends in your life. From the movie Good Will Hunting, this line reminds us that giving your all to someone is a very important step toward being truly in love. Kodjoe sums up the way we feel about true, all-encompassing love. From your mind into your heart and all the way to your soul. That is love, and true love, more than anything else, belongs on a list of best love quotes. Women are called many things—wild is one of those things. Though there are plenty of quotes about taming either a man or a woman, but if you’ve loved, then you know there is truth behind this quote. Leave her wild, don’t change her, accept her for who she is. The beauty of the best love quotes (and this one in particular) are that they remind us that no one needs a relationship. We only need ourselves—to make ourselves happy and whole—before we can be made happy by anybody else. Green is one of the most celebrated young-adult-literature writers currently out there. The beauty of Green’s words in this quote are in the fact that he reminds us that boys and girls—and everyone—are all capable of being beautiful. The famous rock / pop band The Beatles wrote many love lyrics in their day. Most of us can relate to the feeling of needing versus wanting. Ah, unrequited love. Dahl, one of the greatest children’s authors in history, was always very particular about assuring everyone’s acceptance. He taught children (and adults alike) that it is important to love everyone, no matter who they are or what they look like. The beautiful singer Horne reminds us that feelings are feelings, regardless of how positive or negative. Let it out, happy or sad. …because love should always take priority over paperwork, or any kind of work. This love quotes can go two ways, though I choose to view it in the positive sense. In a sense, love is a weakness—though I often believe that there is strength in weakness. The person you may consider your weakness can also be the person who makes you who you are. 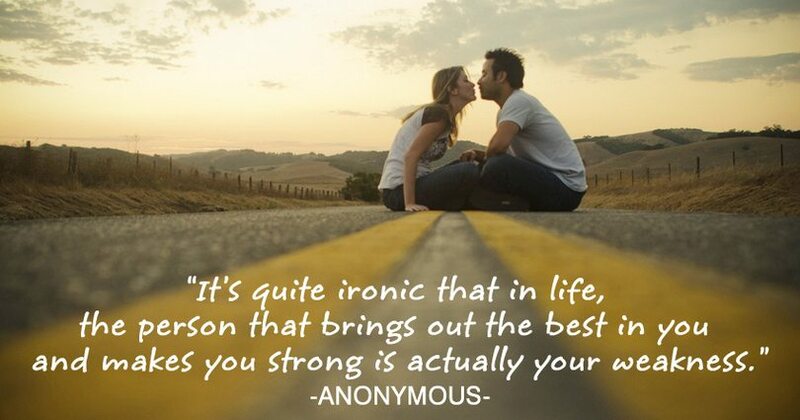 This quote is absolutely necessary for a successful relationship. Far too often, people get caught up in their lover’s former lives instead of focusing on the strength of the future. The past is past and that past has passed. Leave it there. Kissing should never be taken for granted. Kissing is beautiful, important, and one of the happiest activities in life. Hailing from Winnie the Pooh, Milne’s sentiment is one of the kindest. The friendship between Pooh and Piglet is something very admirable and endearing—something we all strive for in our lives, even if we are not animated characters. Griffith, American actress, has been in some very high-profile relationships in her day and she has certainly played some characters who have been in real love as well. This quote reminds us that though we may lose focus at times, ultimately, the heart is what matters. Aristotle’s quote reminds me of a perfect wedding vow—the uniting of a soul, split into two bodies. One of the most romantic feelings in the world is feeling as if you share a soul. Wharton’s love quotes are some of the most subtly romantic. Feeling like you are falling in love with someone every time you see them is one of the best feelings. McEwan expresses what many of us have felt at one time or another. Though it is a dangerous suggestion to depend on someone as your “reason for life,” it is no doubt romantic. Ephron penned the famous romantic comedy When Harry Met Sally. The movie’s climax comes when Harry runs after Sally, confessing his love for her in an attempt to win her back in his life. 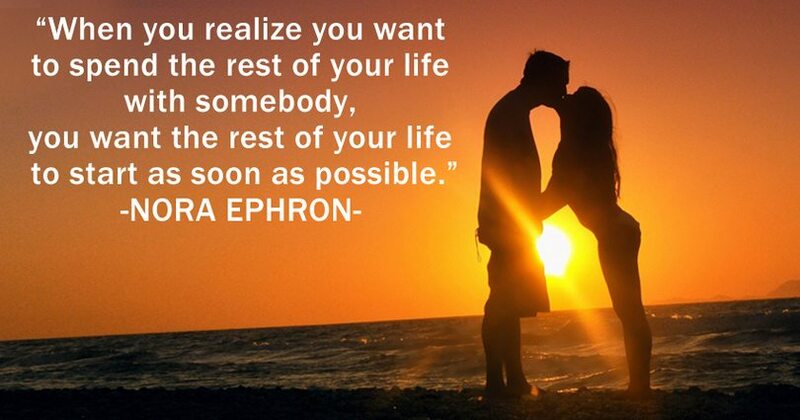 Ephron’s words have remained romantic since the movie’s premiere in 1989. From Tolkien’s famous Lord of the Rings trilogy comes one of the most romantic lines in literature. What is more epic than wanting to spend a lifetime, rather than many, with your loved one? Tolstoy, another famous Russian author, has always had a way with words. In War and Peace, where this quote originated, Tolstoy enforces the fact that the greatest wisdom comes from love. This unknown love quote is a familiar feeling. We all have bad days, or a series of bad days, which makes us all more familiar with the excitement of waking up in the morning. Better than coffee is true love. Keller was one of the most prolific people to ever live throughout history. Almost everything Keller spoke to and about was very significant—most of all, love. It is a nice reminder that anything we have loved will remain with us always. You will learn who you are through love and you shall be delighted by it. Have you ever been in love with someone who made you feel like you could climb a mountain, run for president, conquer a nation? That’s this feeling. Anything is possible in love. If your love and your life is more thrilling than your dreams, you are certainly in a good place. How many of us have felt unrequited love? When I was young, I thought being in love meant that someone loved you back as well. As I grew older, I learned that nothing of the sort was true. 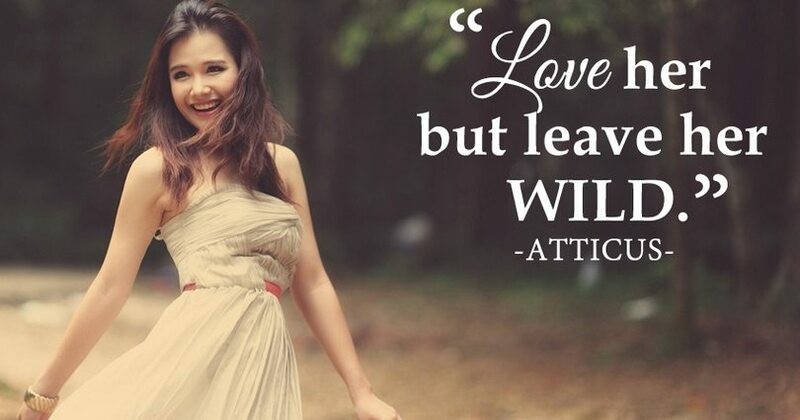 You can love, and you can love, and you can love—all without return. In her Harry Potter book series, Rowling often wrote truths about love, loss, and everything in between. One of the many motifs in the series focused not just on the difference between good and bad, but rather, how someone who grew up without love, can turn so evil. Never change for anyone, though you should allow yourself to grow with someone. Holiday wrote and performed some of the most beautiful love songs of our time. Take risks—this is what her song lyric is reminding you. 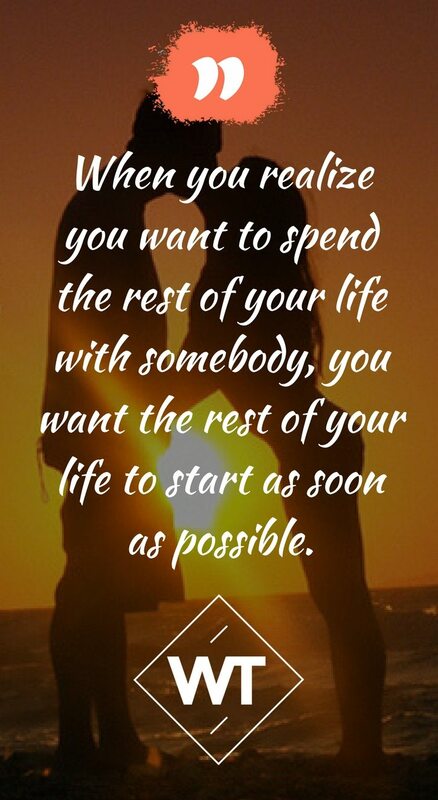 There is arguably nothing more romantic than the idea of loving someone forever and ever. Tagore praises this thought, romantically and significantly. Davis, the television and theater actress, brings up the fact that love can be painful. Though we wish all love went our way, and we were all happy and content, it is well-known that pain is a part of love. Not everything works out. Monroe was one of the most famous actresses in history, and she certainly had her share of love affairs. 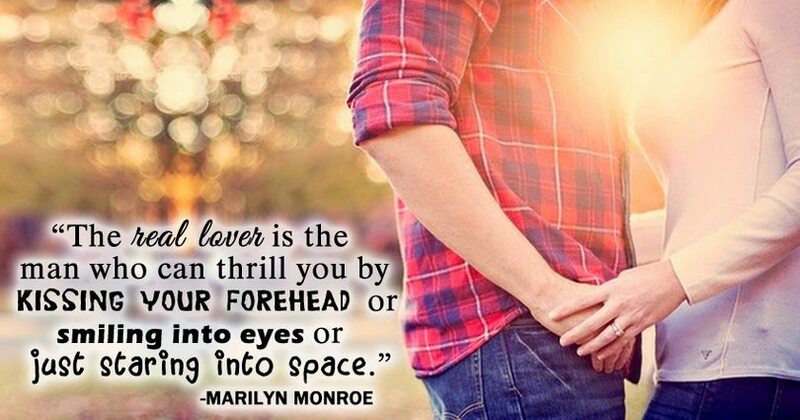 In this quote, Monroe reminds us that true love can be found in the most mundane of actions. It does not always take a far-fetched approach to make you fall in love. Dr. Seuss, celebrated children’s author, always had a way with words. This quote teaches us that your significance lies more in the relationship you have with individuals, rather than with the entire world. Famous martial artist Lee had a way with words as he had with his films. Allow yourself to grow with your love—let the flame blossom. There is something intimidating and romantic about feeling out of control as you fall in love. There is choice in it—for you should choose who you befriend—but the rest, as the quote describes, is something out of your control. Pay attention to the heart of a person rather than anything physical. Hearts last while physical features do not. Another wonderful singer of our time, Mitchell reminds us that it is vital to not only bring out the best in the ones you love, but to allow it to be brought out in yourself at the same time. Love and money have often been compared to one another. Which is more important, and why? Wilde brings up a solid point—those who love are always rich. Relationships are hard—which is an extreme understatement. I agree with the idea that falling in love is easy, quick, out of our control—but staying in love? That takes commitment, time, effort, energy, and absolute dedication. 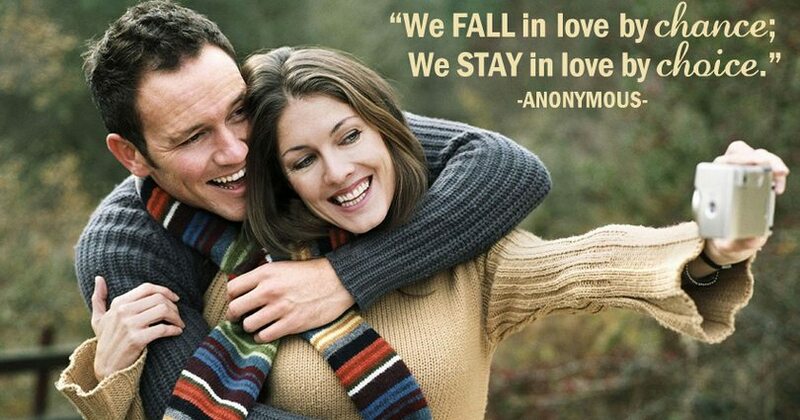 The best love quotes, are only that—quotes. Making love work, on the other hand can seem as eternal a process as love itself. But stay with it. It will be worth it in the end.